Everyone assumes that my three year old must be the most crafty kid in town. They assume he loves all things DIY. Truth of the matter is that it takes some convincing to get Markus to participate in crafting activities. He doesn’t like coloring with crayons, because it’s just not messy enough. For this kid, you’ve gotta strike the right balance. Being three is hard, I guess. 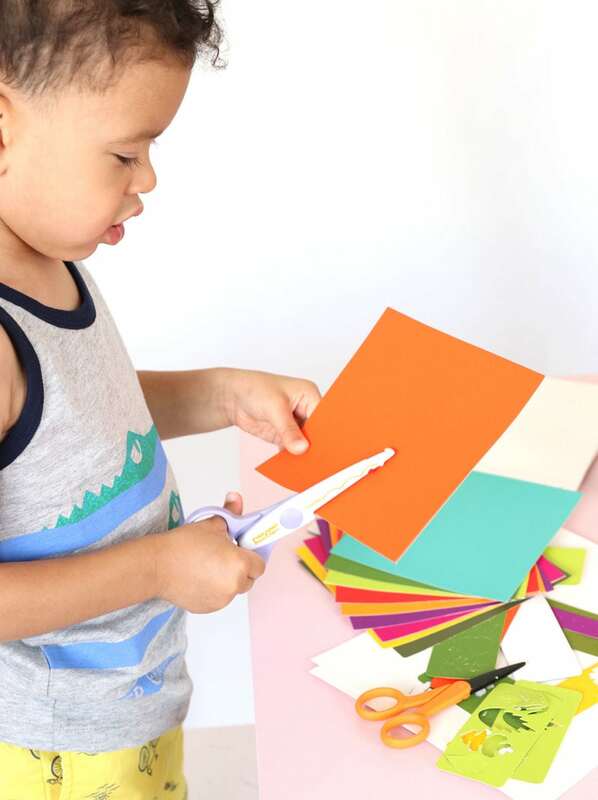 Recently, I landed on a project kit from Kid Made Modern that was right up his alley…and truth be told…it was totally my kind of craft too. At first glance the title “Printmaking Kit” had me a little concerned. To me, “printmaking” sounds like I need some sort of big machine and a whole lot of skill. You’ll be happy to know, you need neither for this. 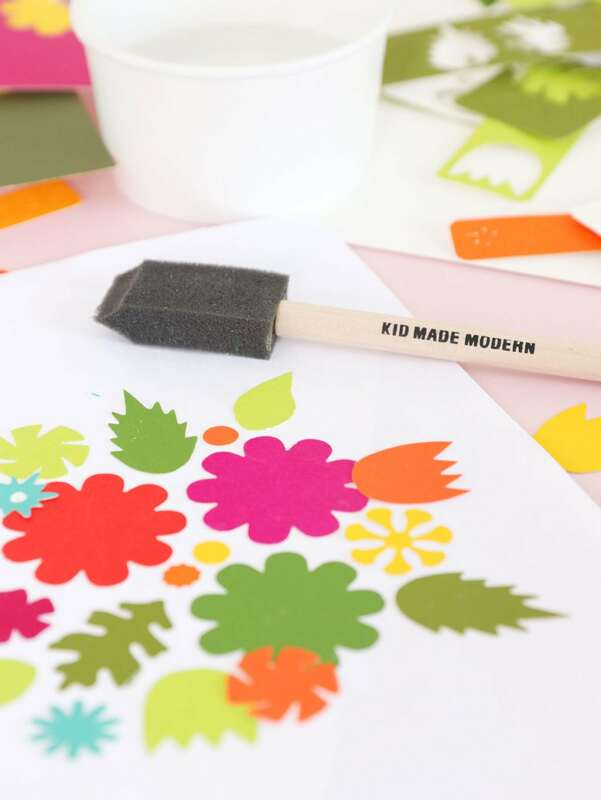 Printmaking in the Kid Made Modern way is low mess and such a great joint activity for parents and kiddos. Here’s how we tackled this easy project. The kit comes with absolutely everything need to start and finish the project – with the exception of a glue stick and a piece of paper. 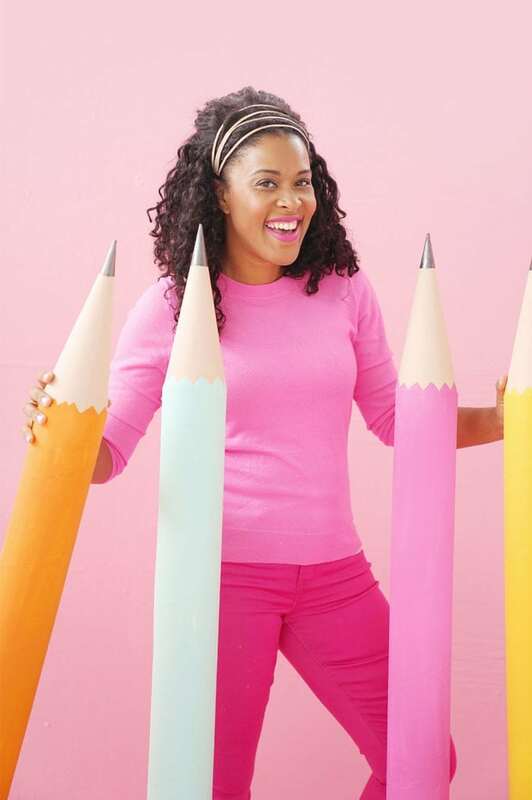 If you don’t have a glue stick and a piece of paper in your home, I’d love to know how you ended up here reading this blog! In the kit you’ll find a bunch of colored paper which – as far as I can tell – are magic sheets of paint loaded paper that release their colorful powers when they come in contact with water. Yeah. That’s the technical description. You can cut and punch out these papers in any way you like. Being the boy he is, Markus quickly opted for “punching” when offered the choice. I swear he’s an amazing kid, but recently anything having to do with lasers, jet packs or “blasting” is high on his list. I assume this is why “punching” was such an easy sell. We worked together to punch out flower shapes from the colored paper. He truly enjoyed the loud noise of the paper puncher. All said, I think we created about 50 paper punched flowers. For this project, you probably only need three. 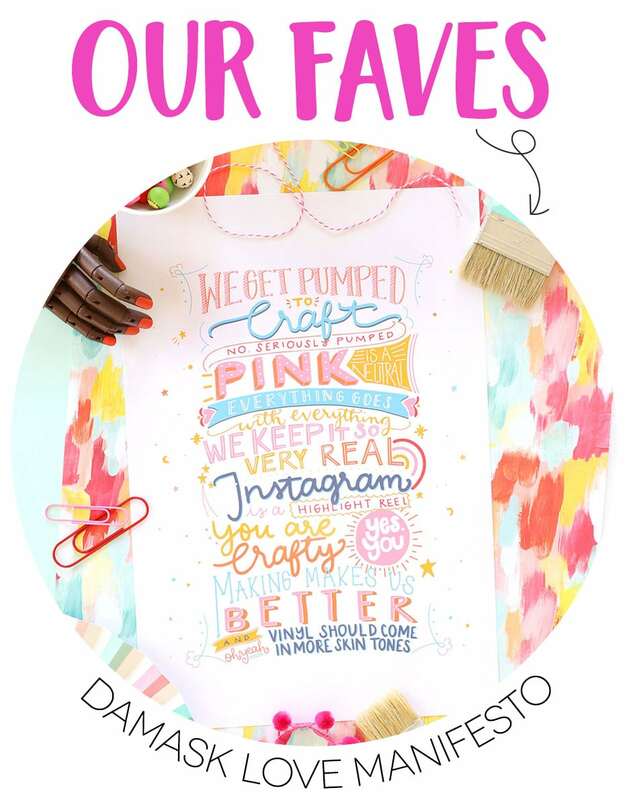 With our paper designs complete, it’s time to design your print. Time to break out that glue stick and piece of paper. 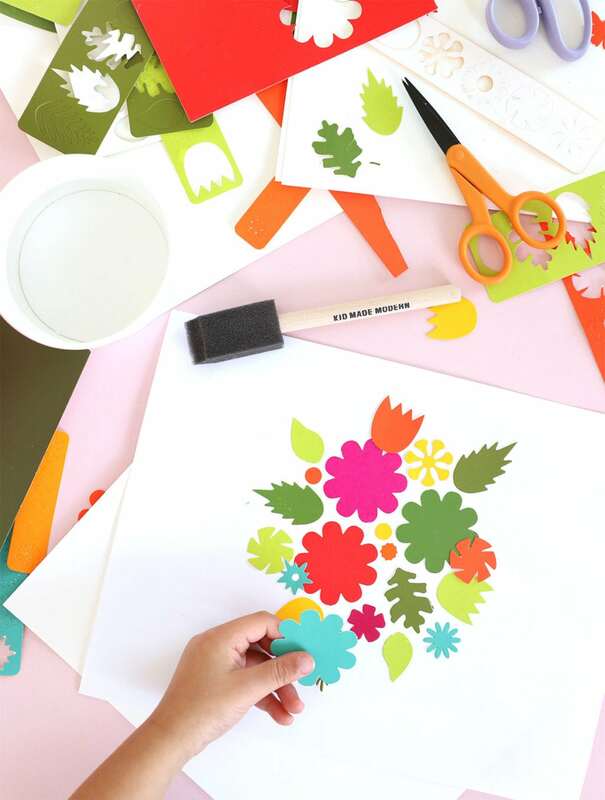 Glue down the colored cut-outs onto the paper until you get the design you want. 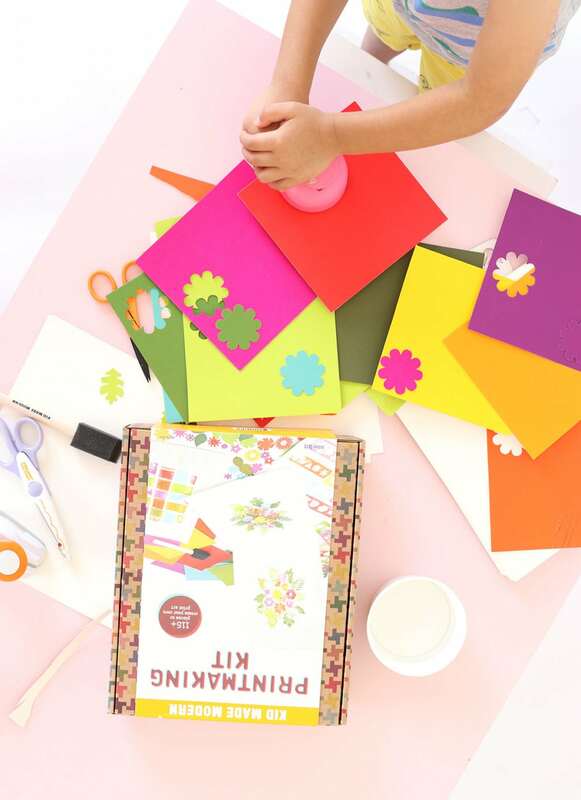 The Kid Made Modern Printmaking Kit comes with additional pre-cut shapes that you can add in as you wish. Now you’re gonna need to grab a cup of water. Oh yeah – that’s another thing you’ll need for this project – but I’m gonna go out on a limb and say you can hustle your way into a cup of water. 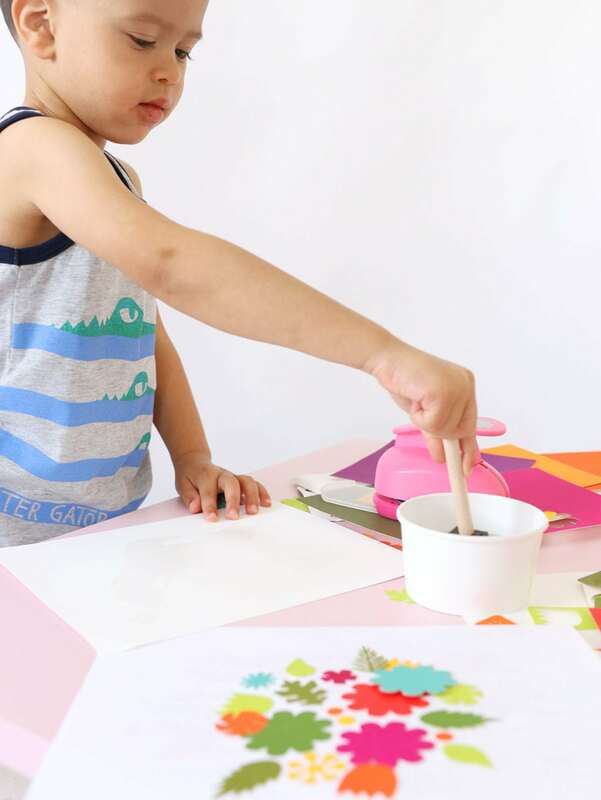 Using the foam brush included in the kit, have your kiddo brush water onto the paper included in the Printmaking kit. This was probably my favorite part of the process. It’s like painting, but it’s water which means Markus loved the low mess and I loved the decreased likelihood of destroying his adorable yellow shorts. 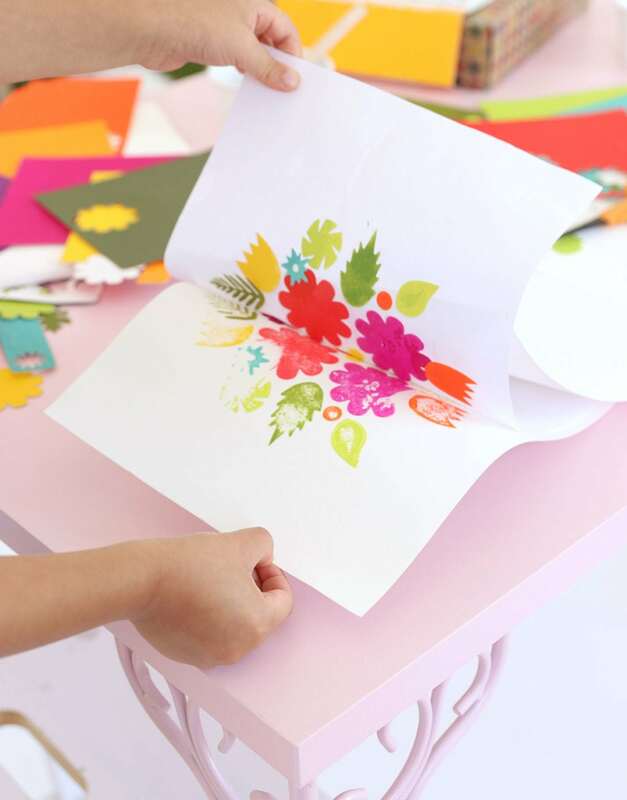 With the paper sufficiently painted with water, turn your colored paper design upsidedown onto the wet sheet of paper and use your joint muscle power to press, press, press. 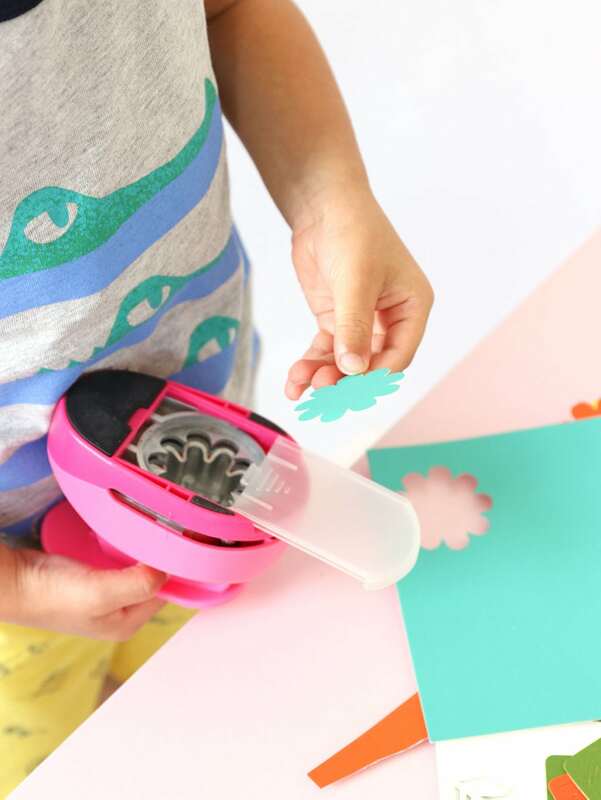 Last up, let your kid have the honor of separating the two sheets of paper to see the design come to life. It will transfer over to the wet piece of paper and you’ll both do lots of oooing and ahhhing. 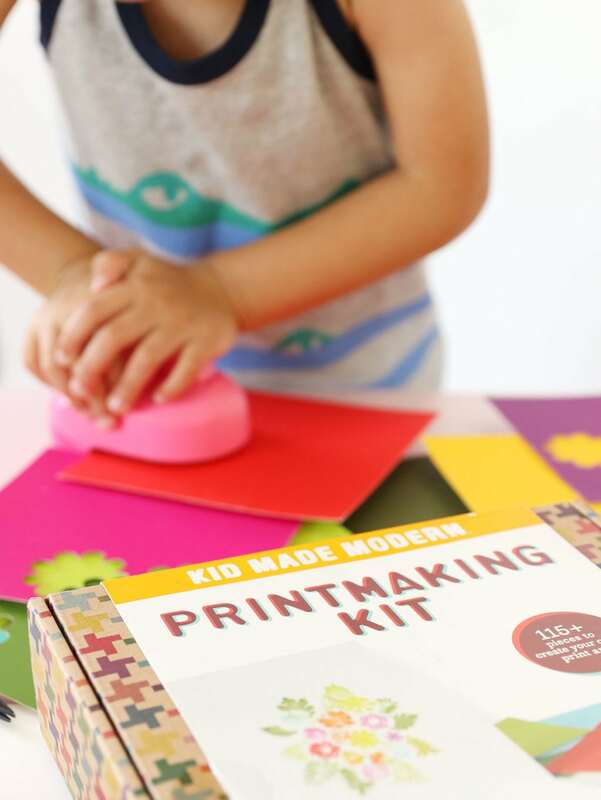 Truthfully, this Kid Made Modern Printmaking kit is the sort of thing I would do on my own but it gets extra cool points for being a kid approved activity. 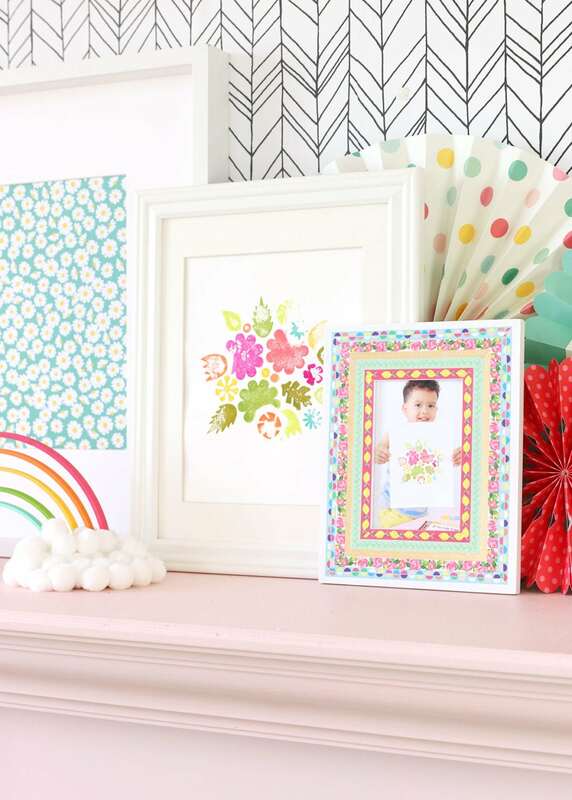 It doesn’t hurt that the final product is something you will proudly display in your home. 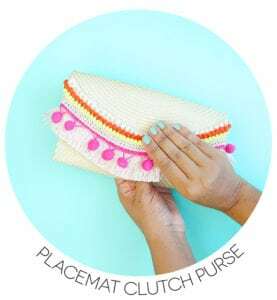 If you’re still jonesing for more Kid Made Modern inspiration, head over to the Damask Love Instagram where I recently created the easiest duct tape keychain ever! This project was created in partnership with Kid Made Modern. All projects, photos and opinions are mine, mine, mine! Thanks for supporting the collaborations that keep the lights on in this joint! 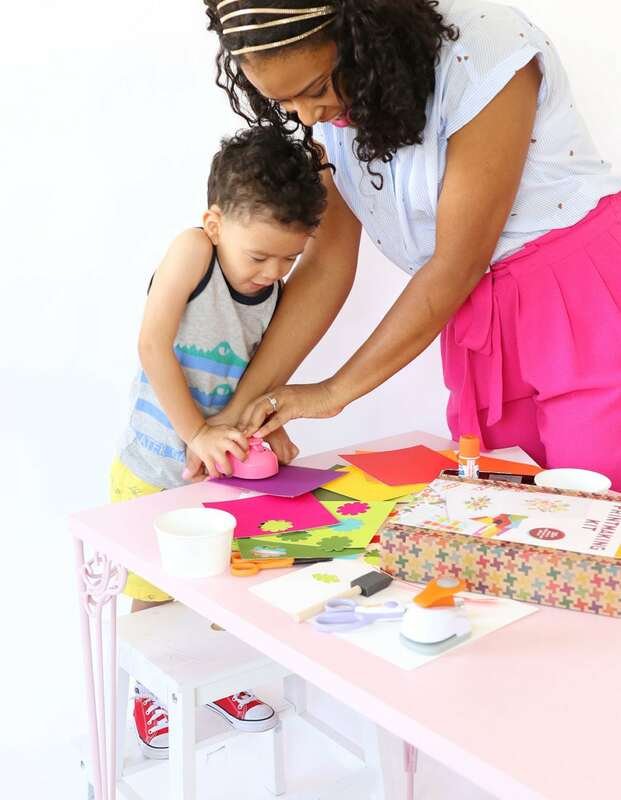 Wait…Markus is 3!!! Wasn’t he just born? I will be ordering this to do with my 4 year old granddaughter who tells me she loves flowers. That’s really neat and low to no mess. My kind of crafting with my youngins’. Mommy and Markus did an Awesome job! I remember that you were the cutest little pregnant girl I have ever seen, it was so obvious that you were over the moon happy and you absolutely glowed. Now look at him!! What a handsome young man he is growing up to be, it’s plain to see you are loving every minute of motherhood. Now to get back on point, this is a great craft for kids, my granddaughter would have loved it, too bad they didn’t have it thirteen years ago when she was three! Thank you for continuing to bring new craft ideas our way. I believe I’m going to DIY this one for myself. This is a great project kit! I’d also like to know what you used to make the rainbow in this picture?